Cardboard furniture probably isn’t going to become an heirloom so it won’t be for everyone, but it definitely suits my style of living lightly and treading softly on the earth. While it explores the opposite direction of the multi-functional furniture that grows with your kids, it originates from that same concept: kids don’t stay kids forever. If you aren’t up for making a decision on furniture that will stick with you for the next twenty years, you might like to try the option of furniture that can be recycled guilt free when it has passed its used by date. CartonLab is an innovative Spanish companythat specialises in building eco-friendly furniture and decorative pieces entirely out of cardboard… yes, cardboard. 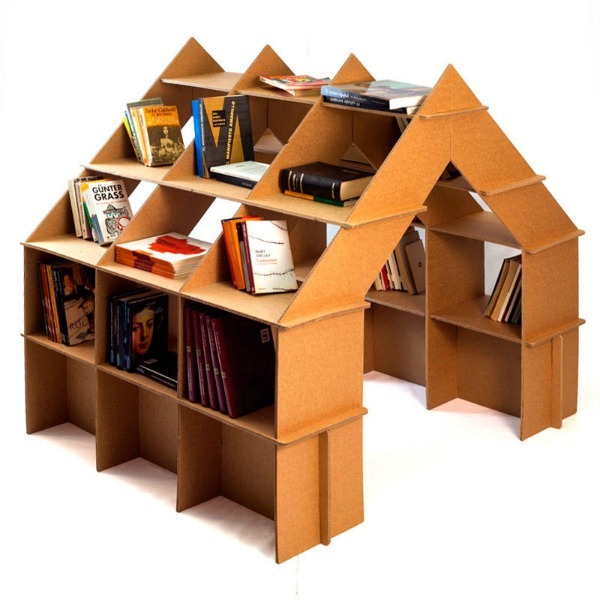 As strange and temporary as it sounds, bear with me because the application is exciting; cardboard is lightweight for affordable shipping, sturdy and durable to last way longer than expected, it is easy to assemble and is a sustainable material that can be recycled. 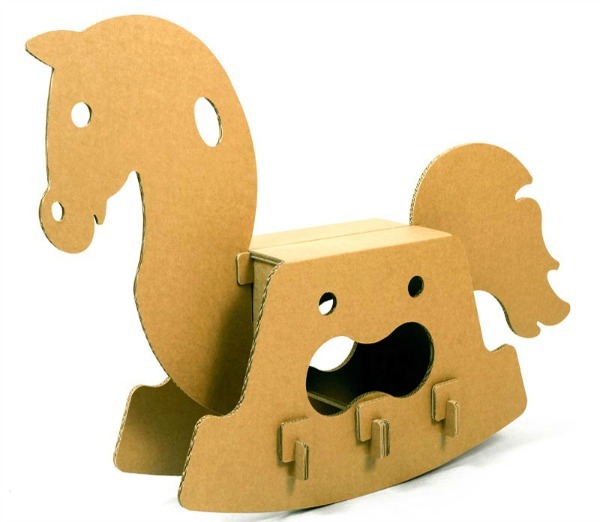 The children’s range at CartonLab combines all the right elements of functionality and fun and includes bookshelves, tables and chairs, a rocking horse and even a cradle. Their House Shelf is a brilliant combination of playful cubby house and clever storage. 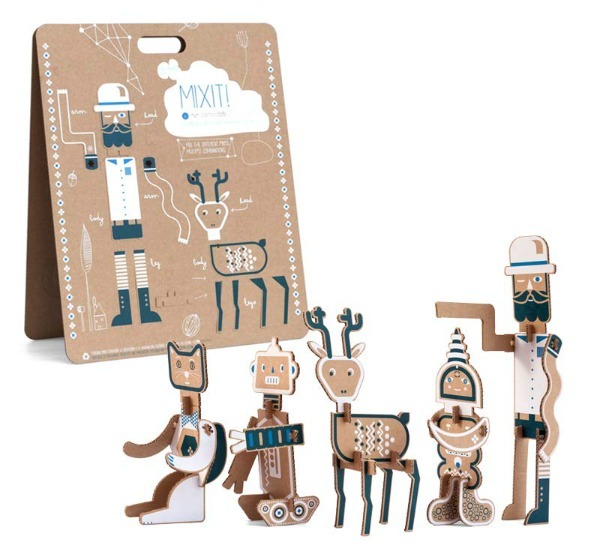 One of the great features of cardboard is that it can be customised in an endless array of ways and CartonLab can personalise your House Shelf with illustrations, colours or image printing; of course you can always let the kids have their way with paints and markers to decorate it themselves. . The House Shelf retails for €145. 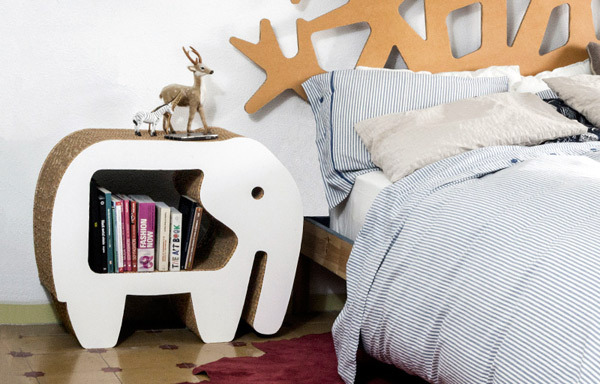 The elephant nightstand (pictured top) is my current favourite in the children’s range. 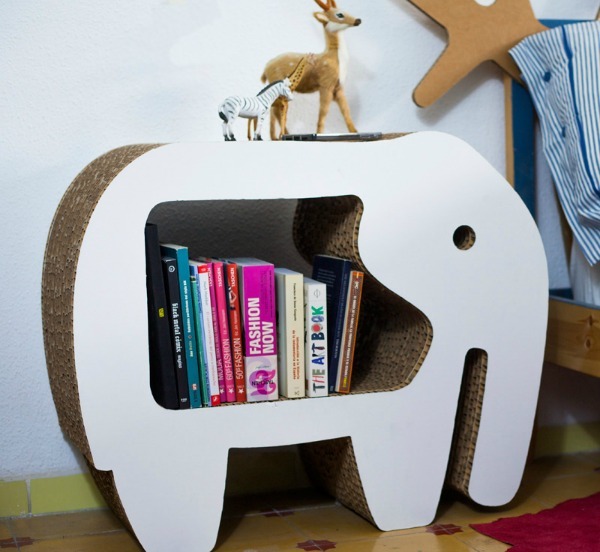 It costs €95 and for me it all comes down to the adorable shape of the elephant with the interior shelf cutout. The fact that this nightstand can bear a weight of up to 100 kilograms and only weighs 4.3 kilograms is also rather remarkable. The bad news for CartonLab fans is that shipping is not yet available outside of Spain and Portugal and there is currently no Australian distributor. Surely if we make enough noise though, we can make something happen so watch this space.